As I write this, the Texas Rangers are one out away from winning their first World Series title in franchise history. They are intentionally walking Albert Pujols right now, and by the time I finish writing this, the game will likely be over. There will either be a Game 7 tomorrow night, or baseball will have a new world champion. Either way, this is a night I’ll remember for as long as I love sports. 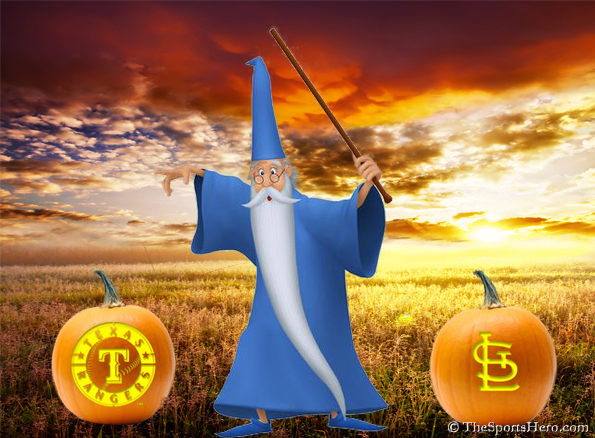 This is the night I remember what October baseball is all about. I’m laying on my couch with my laptop in my half empty apartment. I’m getting married in two weeks, so it’s goodbye to the bachelor pad and hello to domestic bliss (love you, honey!). I’m only 27, so it’s not like this article is supposed to be part of my memoirs or a tribute to my single life (Berkman just drove in the game-tying run by the way), but it’s hard for me not to reflect a bit on my life as I prepare to move out of my Hermosa Beach apartment of three years and start the next chapter of my life. It’s fitting that this is all happening at a time when the baseball season is coming to an end. This postseason, and namely this World Series, has seen a resurgence (Allen Craig just grounded out to end the inning) in people’s love and interest in baseball. In a time when NBA players and owners remain locked out, and the NFL season has hit its midway point, it’s a welcome, and unexpected, surprise. Next year, became next year, became next year, became 2004, when the unthinkable happened: the Red Sox won the World Series. I was a sophomore in college, and I remember sneaking out of my night class and rushing back to my apartment to watch the series-clinching Game 4. To see Keith Foulke toss the ball to Doug Mientkiewicz (pronounced just as it sounds) to end the series against the St. Louis Cardinals and give the Red Sox their first title in 86 years was something I’ll always remember and be able to tell my kids about. But as amazing and magical as that October 2004 night was, when we “Reversed the Curse,” I didn’t realize until tonight that that night also marked the beginning of the end for my love of baseball. All humans have basic, naturalistic instincts. It’s been that way since the beginning of time, and it’ll remain that way until the end of it. And whether we like to admit it or not, a trait we all share is the desire for the hunt and the conquest of the unattainable. For men, it’s getting the girl that’s out of your league. For women, it’s taming the bad boy. We all want what we can’t have, and when that thing is withheld from us—say, for 86 years—we begin to sensationalize it, give it an almost ethereal quality. We fantasize about it and imagine how great it’ll be when we finally get it. And when 2004 came, it was everything I imagined. The feelings of excitement, relief, and achievement were overwhelming, and even though I wasn’t in Boston to celebrate with my fellow Bostonians, I knew that across the world, Red Sox Nation was rejoicing as one. 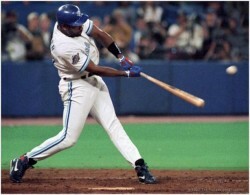 Joe Carter's three-run homer clinched the '93 World Series for the Blue Jays. But when next season came around and spring training started, that feeling of anticipation for the upcoming season that I’d had since I was five was no longer there. We were the defending World Champions, and if we didn’t win it all this year, so what? We’d broken an 86-year curse. That allowed us some grace period before we had to start hearing whispers about us not being able to win a title. Hell, we’d won more titles in the past three years than the Yankees! The Red Sox’s effort that whole season looked, and felt, like nothing more than a half-assed job, made apparent by the team’s abysmal performance that postseason, being swept in three games by the Chicago White Sox—who themselves went on to end an 88-year drought that year by beating the Astros in the World Series. The strange thing was, I didn’t care we got swept. If we won, great, but if not, who cares? The 2007 postseason had the same feel for me. When the Red Sox were down 3-1 in the ALCS to the Cleveland Indians, there wasn’t that feeling of urgency and despair among myself and other Red Sox fans that had been with us pre-2004. We’d broken the curse, so if we lost to Cleveland we could just say the better team beat us. No curse, no excuse. But we came back and took the series and went on to beat the Colorado Rockies in the World Series in four games. As great as it was to capture our second title in four years, the feeling of seeing the Red Sox celebrate wasn’t like it was back in 2004. It was more like a pleasant surprise, like when you were a kid and found a second prize in the bottom of your box of cereal. Maybe it was because the series was against the Rockies, a nontraditional team unlike St. Louis, or because it was another four-game sweep. Regardless, as I watched the Red Sox celebrate their championship at Coors Field I realized my passion for baseball was waning. A few months later, the release of the Mitchell Report and the impending fallout that came from it seemed to destroy any remaining enthusiasm I had for the game. Records were tainted and titles were questioned, including those of the Red Sox. I unceremoniously turned my back on the game after that. That’s not to say I didn’t still watch games or follow the postseason, but the playoffs of the past couple of years did little to reignite my passion for October baseball. Rays vs. Phillies? Giants vs. Rangers? Not exactly the stellar matchup of traditional powerhouses one envisions seeing in the World Series at the beginning of spring training. This year’s matchup of Rangers vs. Cardinals didn’t seem to offer anything new and exciting for me. The Cardinals, much like they did in 2006, snuck into the playoffs with the fewest wins of any playoff team. The Rangers were making a return trip to the World Series, and as explosive as they were on offense, they were familiar to me because of last season’s run. But as this series started to unfold I could clearly see there was something special happening, almost magical. Maybe it was Pujols’ three home runs in Game 3, or maybe it’s because of what’s unfolding here tonight. Whatever the reason, watching Game 6 tonight has given me the same feeling of excitement that I felt when Joe Carter hit his game-winning home run and when the Red Sox won it all in 2004. Regardless of the outcome of tonight’s game, or the series, one thing is for sure: October baseball is back, and with it, my childlike enthusiasm for the game. Oh, and David Freese just hit a walk-off home run in the bottom of the 11th to force Game 7 tomorrow night. Did you expect anything less?